Are you also a fan of melamine? 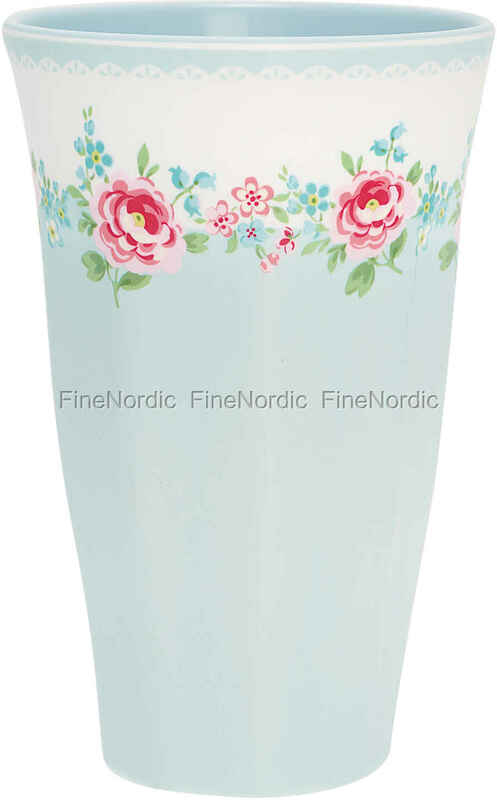 Then you'll love the tall Meryl Pale Blue Cup by GreenGate. The pretty floral pattern and the beautifully coordinated colors make it a highlight on the table. It is happy to accompany you on excursions, to a picnic and for the garden party, it is just ideal. A total of 350 ml fit into this tall cup and it’s convenient to hold thanks to its beautiful shape. Looking good and being practical, this is a cup to our liking.